At Dee’s Health, we understand that every single person has their history, ailments, concerns, habits, and needs. Because of the intricacy of these pieces of information, we give each person our full attention to creating a collaborative, manageable, and realistic plan to achieve success. Everyday ailments affect different bodies in different ways. From start to finish, our treatments are adjustable and manageable for each client’s restrictions and needs. 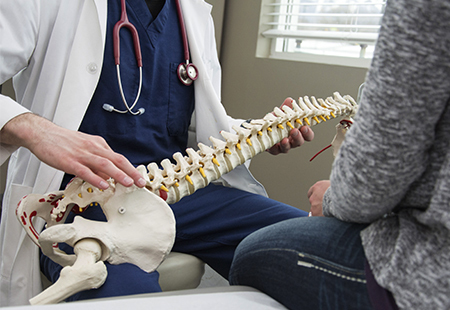 Dr. Terri Dees and her team have made it their mission to help patients lose weight, get rid of chronic pain, and otherwise restore their well being to an optimal condition. We support our clients through every step of their journey to improved health. Regardless of where your starting line is, we will do everything in our power to make you comfortable, to give you support, and to talk through difficult health issues and histories with the utmost respect and care. In our careers, we have seen every kind of problem imaginable, caused by everything under the beautiful Sarasota sun. To find out just what makes you unique and how best to help you, we need to start by gathering information about your history, your present health, and your goals. You came to us because you wanted to see change. Because of this, we are going to put in place solutions to your health problems. When things change, we need to know. If the pain gets worse as you go through treatment, we need to know so we can help improve the pain and keep you healthy. As we put our custom plan for you in place, we will check in frequently to update this information. Are you losing weight as planned? Is your neck pain being relieved bit by bit? It’s imperative to the success of our work not just to have patient data at the beginning but along the way as well. Sarasota, Florida is a beautiful place to live and work. To thoroughly enjoy its sun and beaches though, you need to feel healthy and happy enough to get out of the house! Our team has made it our mission to help patients lose weight, get rid of chronic pain, and otherwise restore their well being so they can live to the fullest. Call (941) 552-6686 today or drop by our Sarasota office, and we will work to eliminate any pain and excess weight that may be holding you back.